Updated 7/9/2018: the following is focused on using What, How, Why, and Where to teach the Skill of your lesson – it’s a nice “additional info” post to the Teaching the Skill post. There is also the Teaching Techniques: Hows & Whys post about using those as a teaching technique throughout your lesson. It’s very similar, but this post focuses on that time in your lesson, after warm ups, when you teach your rider a particular skill. 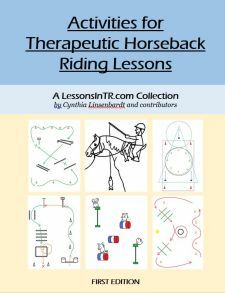 When you teach your riders a new riding skill, you should explain very clearly WHAT they are going to learn, HOW to do it, WHY they need to learn/do it, and WHERE they are going to practice doing it. 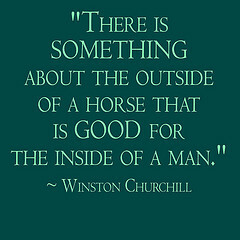 Is the riding skill and description in as few words as possible. Should answer: What the instructor is going to teach? What do you want the client to do specifically? What exercise? What task? It may need some additional description. Such as, if WHAT you are teaching is the leg aids to ask the horse to trot, also explain WHAT the trot is. Is the main incentive/reason/motivation for learning the skill. Should answer: Why is it important? What will they gain? What is the benefit? How is it relevant? Make sure your explanation is chronologically and developmentally appropriate. You don’t have to use all the reasons, just those that apply most. Keep it attention span appropriate. Is the aid/s used to accomplish the skill and help the student have success. Should answer: How will the client complete the requested task or exercise? What aids will they use? Use Task Analysis to break it down into simple steps through the “process of isolating, sequencing, and describing all of the essential components of a task” – Howell, Kaplan, and O’Connell (1979). Prepare several different explanations/analogies in case students don’t get it. Repeat the How’s while they are practicing to help them remember how and guide them through it to success. Ex) “You direct rein steer left by gently pulling the left rein to your left hip. To turn right, gently bring your right hand to your right hip. Is the location in the arena. Should answer: Where are they going to practice this skill? Use visual aids and points of reference. “Today you are going to learn the posting trot. The posting trot is when you stand and sit as the horse trots, avoiding every other bump. Riders learn to post because it makes riding the trot more comfortable for both the horse and rider, especially if the horse is extra bouncy. We are going to practice posting at the trot down the long walls 4 times each direction. You will ask your horse to trot, let his trot push you out of the saddle and stay standing like in two-point for one beat, then sit down the next beat. I will cue you “up down up down”.” Physically show them how you post up and down with your body. Even have an example rider demonstrate as a visual. Then as they practice give more detailed feedback with a Why for every one. See these blog posts for examples of the What, Why, How and Where in a lesson plan! Anything to add? Please leave a comment! Hi Annie, Thank you so much for your kind comments! You are so encouraging! It is so good to hear that this blog is doings its purpose and helping people. And I am especially honored to know that it is helping advanced instructors and mentors. Thank you so much for taking the time to comment, you made my night 🙂 I wish you all the best with your endeavors! p.s. I did leave business cards at the Conference, I’m glad that strategy worked!